I am glad that it is a low price. In this application, I felt that the bond was a little too strong and it was good that the grindstone was more likely to drop off. 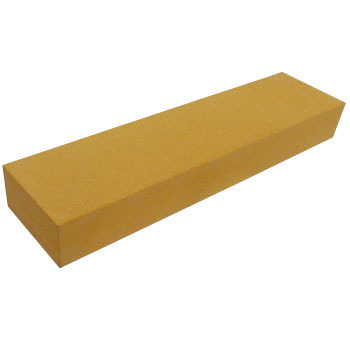 It is good that oil stone can be used not only for particle size but also for bonding strength and abrasive hardness. It will be greatly helpful if there is a model name following the grinder grinding wheel. This review is about item#9516394. I can polish well, but I feel that it will be a little bit smaller. This review is about item#09516437. This oil grinding stone is a product that can be used relatively rela- tively with less grinding abrasion among domestic products, less abrasive grain hardness (high needleiness or pulling the ground) which is common for oil grinding wheels. This review is about item#09516464. This review is about item#09516412. I used an oil stone and dedicated oil. A smooth finish was made. It is good to have an instruction that it is good to use from any number. This review is about item#09516507. The grinding stone was sorry as I thought it was soft. Because it deals with cutting machines at the company, it is useful for adjusting the cutting blade by sharpening. Depending on the circumstances and the place of use, three of # 120, # 180, # 320 of the same size (manufacturers are different) are used separately but I think that it is very easy to use. This review is about item#09516394.